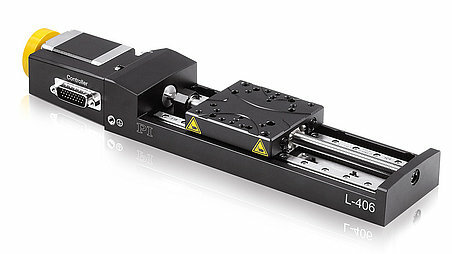 The new linear stages in the L-406 series offer very good performance data on compact installation space. 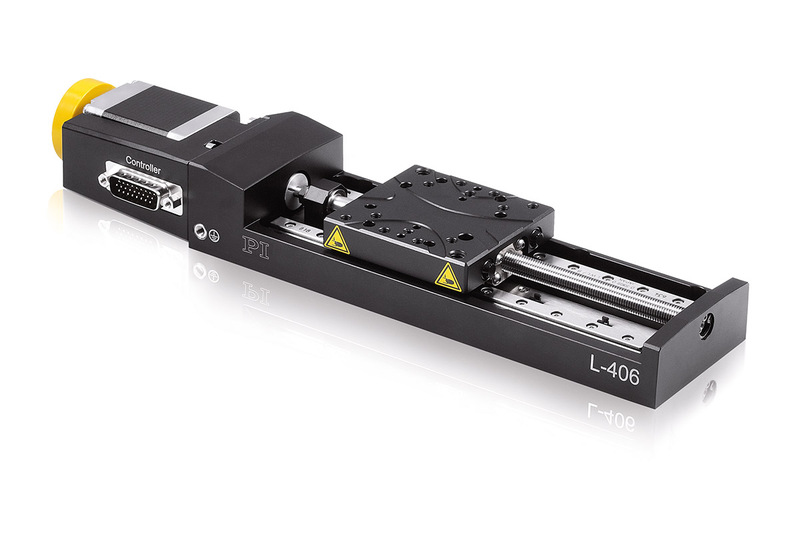 The new linear stages in the L-406 series from PI offer very good performance data on compact installation space: Despite the narrow width of only 65 mm, travel accuracies up to only 0.5 µm are possible over a travel range of 25 mm. PI is able to supply inexpensive solutions in conjunction with PI motor controllers at very short notice. The linear stages are equipped with recirculating ball bearings and leadscrews, and were conceived for loads up to 10 kg. The stress-relieved aluminum base ensures high stability. That qualifies the series for a large number of applications in industry and research. The L-406 is available for strokes of 26 mm, 52 mm, and 102 mm. In addition, they can be easily mounted to XY set-ups without using an adapter or operated vertically using a bracket. A high-resolution, integrated rotary encoder takes care of the position metrology in the versions with DC gear motor. The noncontact, optical limit switches and reference point switches with direction sensing in the middle of the travel range simplify use in automation tasks. For single-axis control, PI offers the easy-to-operate C-863 digital Mercury motion controller for DC servo motors and the C-663 for stepper motors. DC motor control of up to four axes is possible with the C-884. Using the PIMotionMaster, it is possible to use the L-406 in a networked group to control up to 40 axes with different drive technology. In addition, the user can also operate all PI motion controllers in the networked group using the proprietary command set.